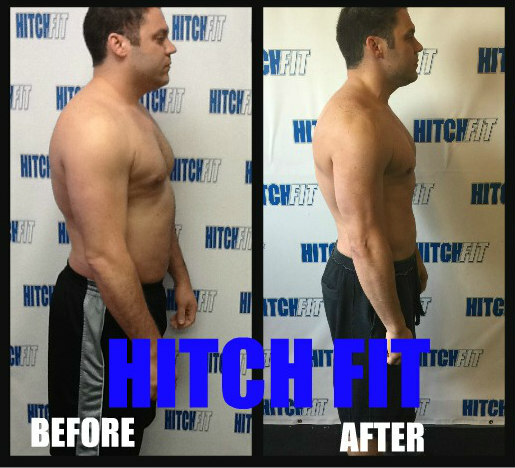 Retrain your Thought Process at Hitch Fit Gym! 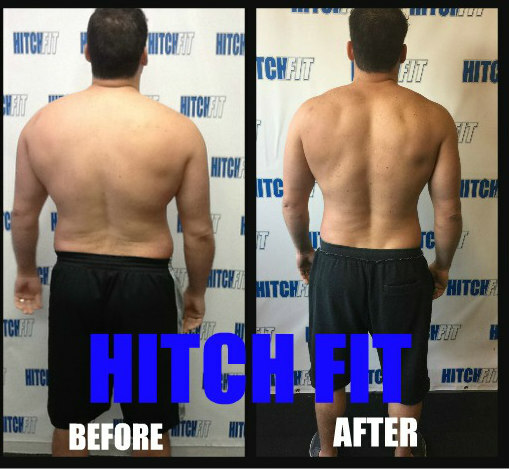 Home/Success Stories/Retrain your Thought Process at Hitch Fit Gym! 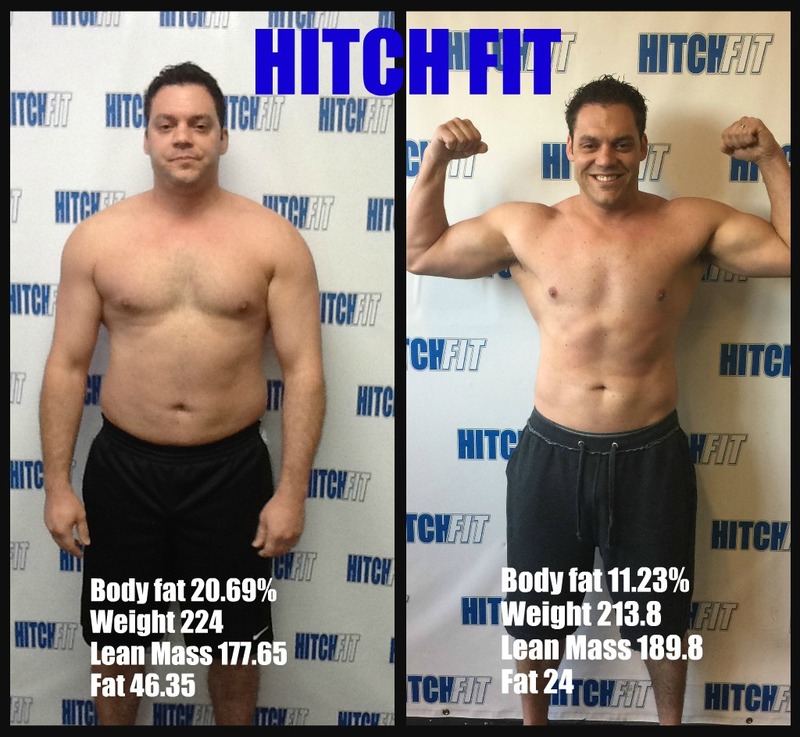 Transformation by Hitch Fit Gym Downtown Personal Trainer (Transformer) Lesley Denny! Retrain your thought process towards health and fitness for long term success! I guess I should start off by saying that Lesley Denny is a wonderful person, for more than one reason. First of all, she is surely the only trainer in the world that would even consider having the patience to complete my 12 week training without giving up on ME. Also, she retrained my entire thought process on fitness and health over the course of our training. Finally, she is just, genuinely, a great individual that really has a passion for what she does. With that being said, I’ll tell you a little bit about my 12 weeks and why I even did this. My wife! She showed me that it can be done. If you’ve read her testimony to Lesley then you would understand. Her name is Nina. We are blessed with two boys under the age of three. I call it the funnest and hardest period of my life. Seems like there is just not enough time in the day, let alone, change your diet, workout, etc, etc. But she proved me wrong. She was determined to get back to her pre baby(s) weight and boy did she. She signed up for a natural fitness competition to keep her accountable and between her super dedication and Lesley’s help she actually placed in two categories. There was a bet involved and needless to say, I lost, hence my training with Lesley. I’m 37 years old and have always been active but since we had our first little guy, I just plain out got lazy. Way to comfortable just going to work and coming home. Who wants to miss those moments with their kids, right? But I knew I needed to make a change. On day 1, I was out of breath the first one minute workout we did, step ups. Yes, one leg up on the box, one leg on the ground. I was so out of shape but I somehow ended up on approximately week five when I almost gave up. I probably complained and cried more than anyone she’s ever trained. I’m a stubborn person that is hard to change. But around week five I complained that I felt like I wasn’t getting anywhere and I didn’t even know what my goal was. She simply told me; “imagine the effect it will have on your kids when they see their parents living active life’s,” and that was all I needed to hear. Like some sort of miracle I got on full board, cleaned up my diet, followed the blueprint that Lesley tailor made just for me and blew away the next 7 weeks. On day one, I was at approx 22% body fat and on my final day I was at 11.89%. That’s huge. I have physique that I didn’t even know was possible not was ever that interested in. But believe me, when you start seeing the dividends of your hard work and dedication pay off, you get interested really quick! It becomes addicting. I finished my training at the end of July and still feel great. I can’t thank Lesley enough for trudging through it with me. I’ve never responded well to high pressure training and Lesley sensed that, and she never made me feel like I couldn’t do it. She has a way of motivating you and keeping you from giving up during training even if you want to, which I did, a few times, but she got me to knock out what was left for the workouts and I always felt a great sense of achievement when my training day was over. Thank you Lesley!!! I can’t wait to start back up for another 12 weeks (min) as soon as possible. I actually miss the training. Definitely not the same person I was before this.